The Mayo Clinic defines obesity, a common U.S. condition, as having an excessive amount of body fat. The U.S. National Institute of Health defines obesity as a Body Mass Index (BMI) of 30 or more. One in three American adults is obese, seven times the rate of China and eight times more than Japan. If the current trend continues, virtually 100% of Americans will be obese by the end of the century. The annual cost attributable to obesity among full-time U.S. employees is estimated at $70 billion. 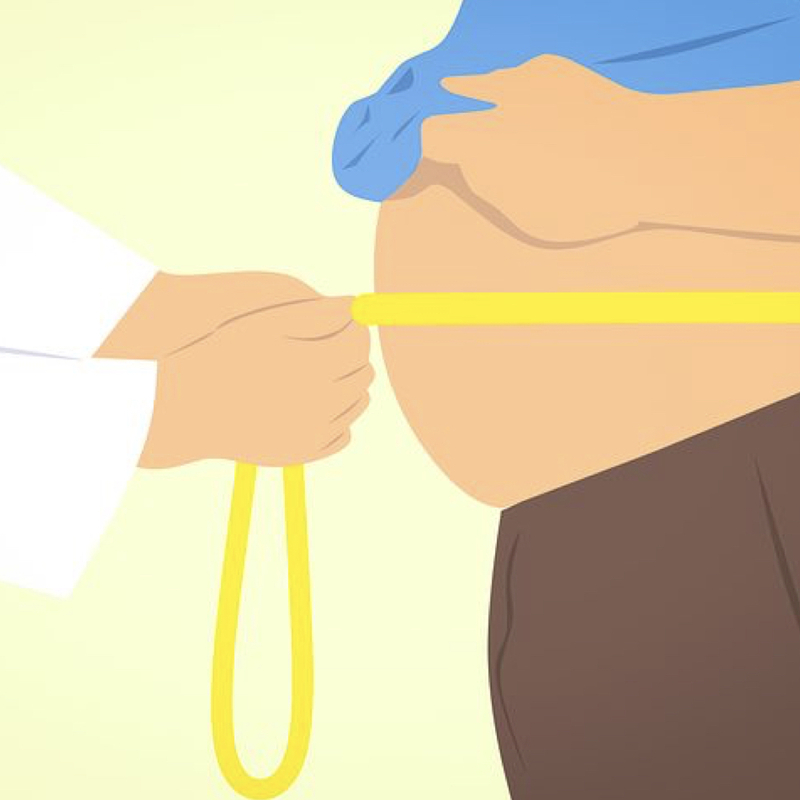 Obesity is associated with serious health problems including heart disease, diabetes, heart attack, prostate enlargement, reduced female fertilization rates, gastro-esophageal reflux disease (GERD), non-alcoholic fatty liver disease, and cancer. Obesity can both stress a person’s joints and degrade a person’s cartilage. A form of low-grade systemic inflammation called metaflammation is associated with obesity. The U.S. obesity epidemic extends to children. Only 1 in 1000 American children eats a healthy diet, a likely cause of the childhood obesity epidemic and the dramatic rise in childhood diabetes. The availability of large portions of junk food appears to be linked to this obesity trend. Babies who are fed milk formula have a higher obesity rate than babies who are breastfed. The food industry has helped promulgate the erroneous message that inactivity, rather than consumption of manufactured, calorie-rich, nutrient-poor foods, is the prime cause of obesity. Food and beverage intake along with calorie overconsumption are actually more important than physical activity in weight maintenance and loss. Intake of chicken meat, which has over ten times the calories and fat of chickens a hundred years ago, may contribute to obesity risk. Consumption of milk, refined grains, meat, and fish contaminated with industrial pollutants may also raise obesity risk. Dairy, meat, eggs, and junk foods all raise the activity of the TOR enzyme, which appears to be linked to obesity risk. Industrial pollutants that may build up in our body fat from diet may help explain the link between obesity and diabetes. Endocrine-disrupting chemicals in foods and increased uric acid levels from meat and sugar intake may increase obesity risk. Not getting a good night’s sleep is another potential risk factor. A review of common slimming supplements showed that they were not effective for weight loss.